Rachel Dunphy, Associate Producer at Living in Digital Times, is new to the business- world but exhilarated by it. Using the strategic thinking from her years as a chess instructor and the communications experience from her time as the Managing Editor of the Barnard Bulletin, a monthly lifestyle magazine, she jumped into all things tech with enthusiasm and verve. A jack of all trades, she loves the dynamic world of tech, always filled with new challenges. 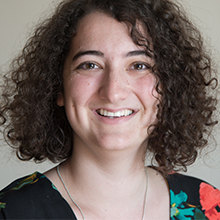 Rachel has worked as a freelance journalist for five years, writing on politics, culture, tech, and education. She holds a Bachelor of Arts in Political Science from Barnard College of Columbia University.